Annually, an estimated 4.8 – 12.7 million tonnes of synthetic waste are thought to enter the world’s oceans. 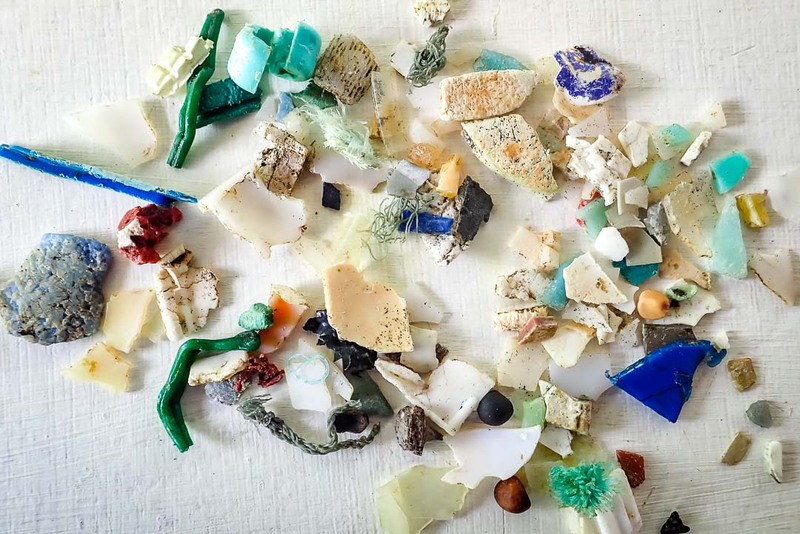 Plastic debris in the marine ecosystem is quickly becoming a huge environmental concern as to date, an estimated 5 trillion pieces of synthetic materials are thought to be floating on the surface waters alone. The ingestion of plastics in marine wildlife is also a growing concern, with plastic debris found inside animals ranging from crabs to cetaceans (Duncan et al., 2018). Tao, one of our rescued Hawksbill sea turtles, was admitted to our rehabilitation centre on 20 December 2018 from Grand Park Kodhipparu (North Malé Atoll, Maldives). She was found entangled in a cement bag and as a result suffered injuries to both of her front flippers. Her right front flipper had been amputated, while her left front flipper suffered a recent laceration that left it swollen. Luckily, her arteries and muscles were still intact, and she still has feeling in her left front flipper. 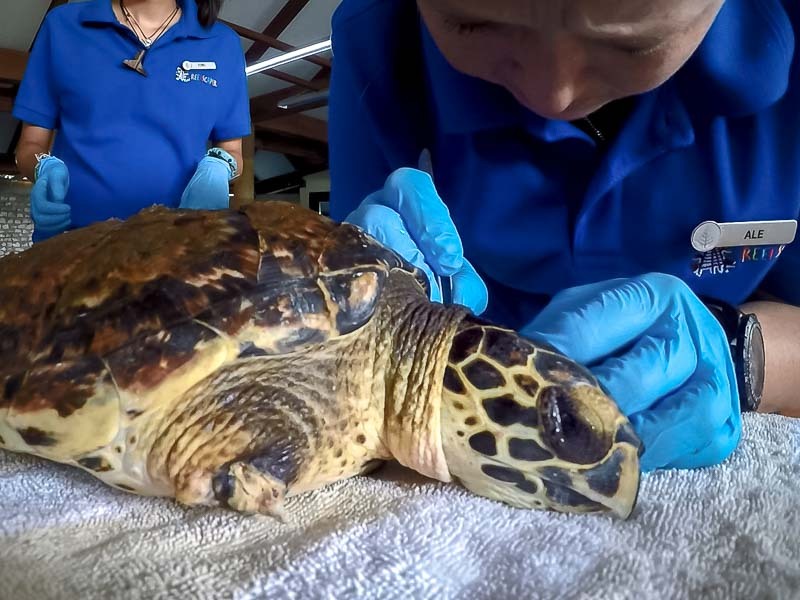 Not only did Tao suffer external injuries due to plastics and fishing nets, since her rescue she has also been excreting a large amount of plastic materials, mainly hard plastics with sharp edges. Synthetic materials cannot be digested by turtles or any other marine life, however, they are often mistaken as food or accidentally consumed. In a recent study (ibid.) 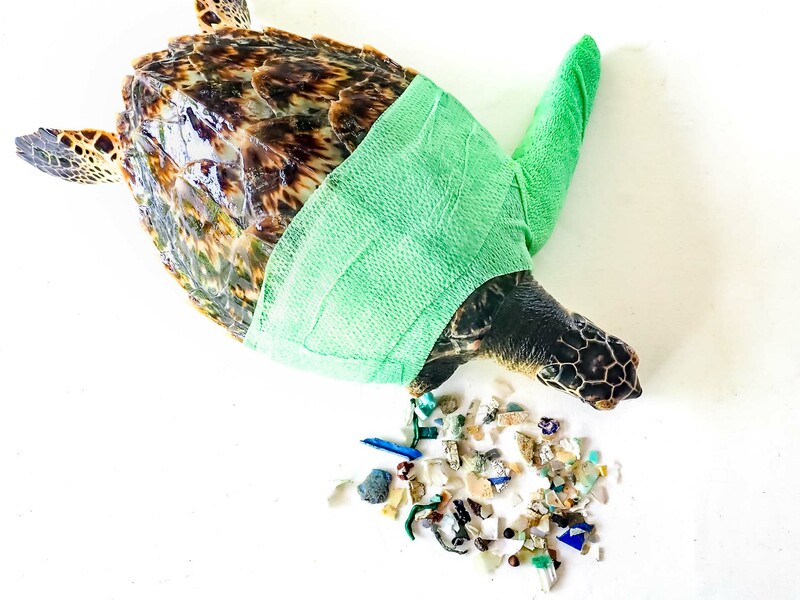 investigating the effects of microplastic ingestion in marine turtles, it was discovered that 100% of all turtles tested had ingested some form of plastic material. 102 sea turtles were sampled from three separate ocean basins; all seven species of sea turtles were represented in the study, and synthetic materials were found in all the turtles tested. The ingestion of synthetic materials can have a range of impacts on the organisms who ingest them. Immediately after consumption the plastics begin to disrupt the internal functions of the animal. Whilst in their digestive system the plastics limit the turtle’s digestive efficiency. Sharp pieces of plastic can also cut through parts of the animal’s digestive system and leave abrasions throughout. 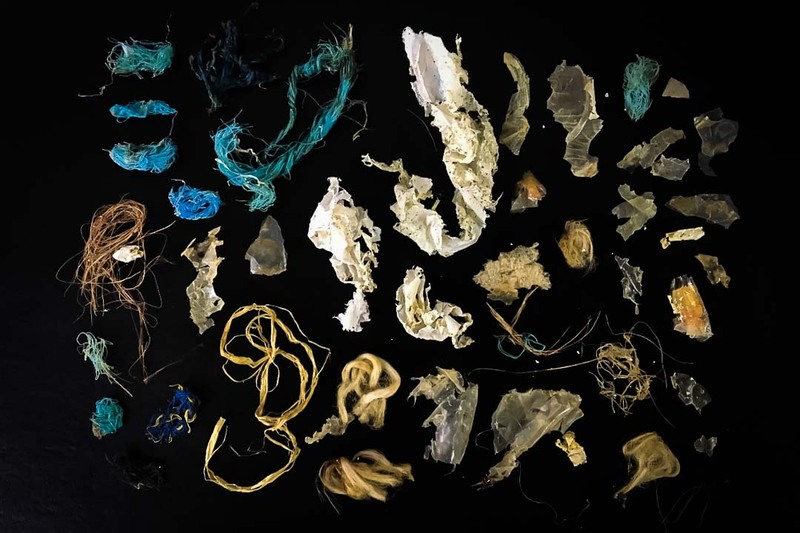 Over the span of approximately 2 weeks, Tao excreted 144 pieces of plastic, ranging in size from 5-37mm, consisting of synthetic fibres and small pieces of fishing rope and hard plastics. Fortunately, she has not displayed any signs of internal damage, her behaviour has not changed, and she continues to eat daily. We continue to closely monitor her behaviour and administer the appropriate treatments; with time, we are hopeful that she will make a full recovery from her injuries. Tao is just one example of the negative impacts that anthropogenic marine debris has on the ocean ecosystem. If the issue of plastic pollution is not tackled soon it could lead to catastrophic results for the world’s oceans and subsequently for us as humans. – Indra our famous Green-Hawksbill turtle hybrid. For an infographic and global overview on pollution, see our guest article Pollution in our Oceans. Tiny particles of ocean plastic threaten sea turtle hatchling survival – Small pieces of plastic are ending up in the stomachs of juvenile sea turtles (Florida). Of 96 stranded sea turtle hatchlings studied, more than half died, while all the survivors passed plastic fragments through their bodies. Increasing amounts of plastic entering the ocean and disintegrating into microscopic particles have increased the risk that sea turtles will choke on or struggle to pass plastic debris, making it harder for them to reach adulthood. Plastics ingested and subsequently excreted by our turtle patients – samples obtained from Tao (above) and Indra (below).